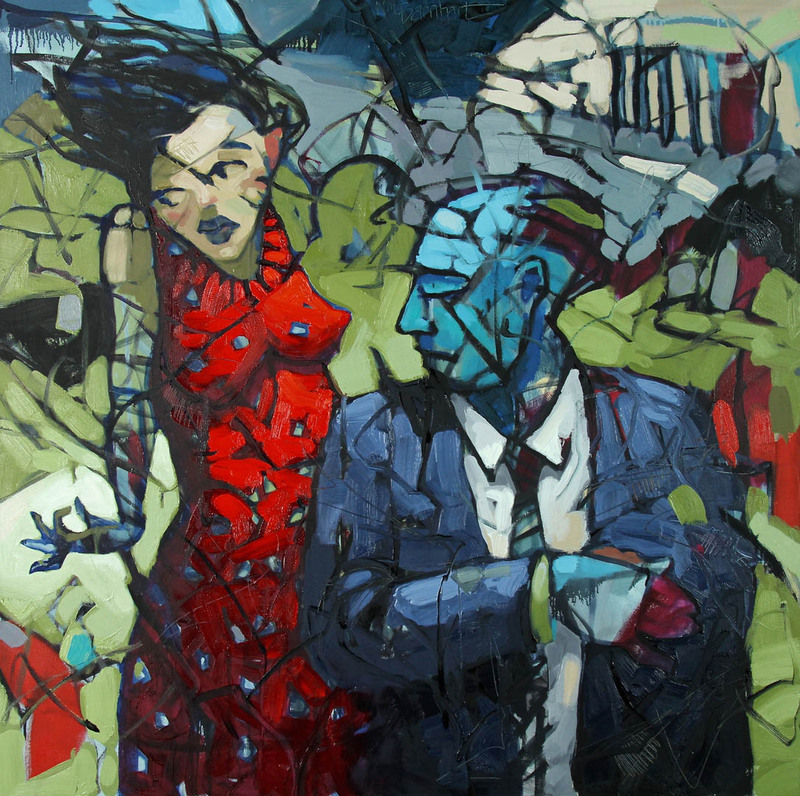 William Barnhart returns to Mirada Fine Art in 2016 and we're thrilled to have his visionary artwork hanging on our walls. 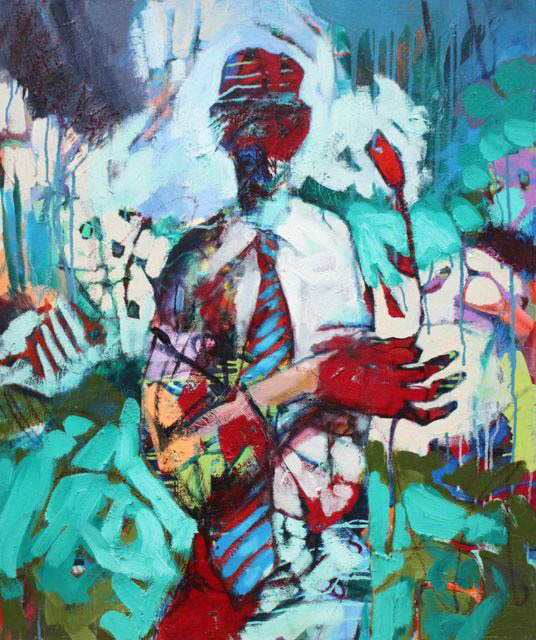 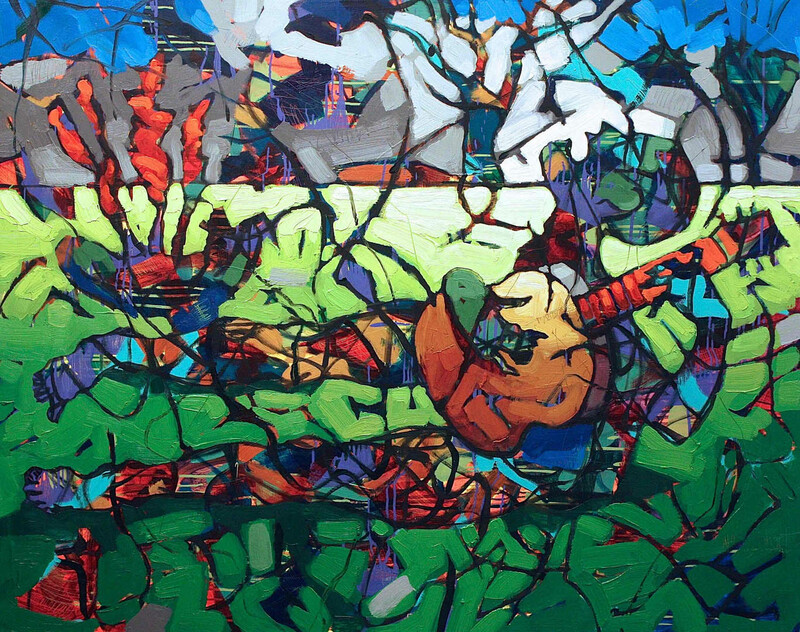 William Barnhart at Mirada Fine Art, Troubadours Bewail, Oil on Canvas, 48" x 60"
Considering himself a 'facilitator' of art, William Barnhart starts each of his oil paintings with absolutely no pre-conceived direction. Rather, he layers rich pigments of color until an elbow, shoulder or other image emerges. He continues to develop that path until an entire face, figure or scene emerges. 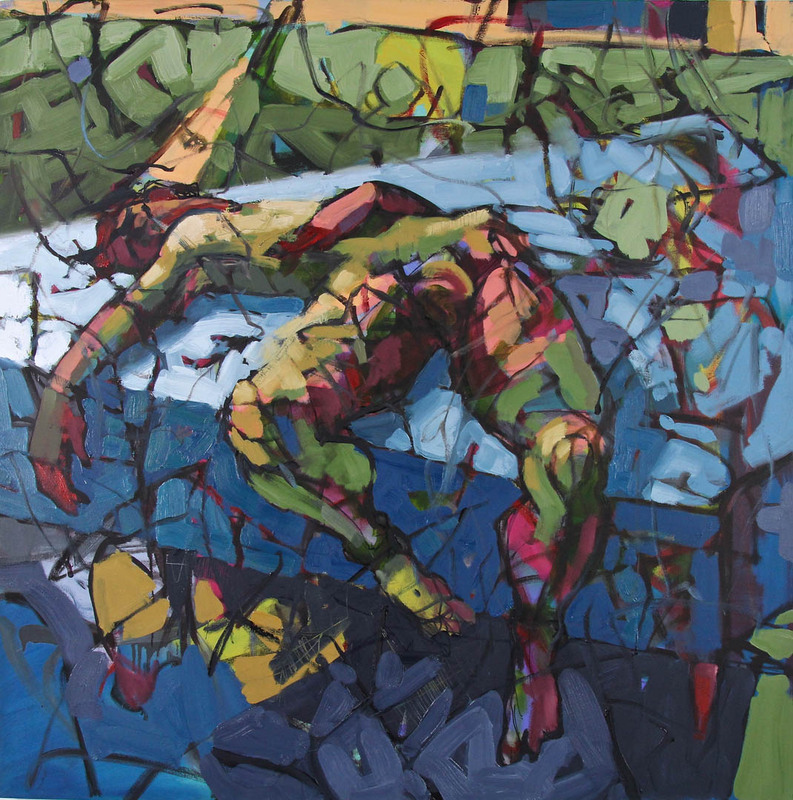 William Barnhart at Mirada Fine Art, The Point of Relaxation, Oil on Canvas, 48" x 48"
Combining his background in classical figure study with a texturally explorative technique allows painter/sculptor Barnhart to arrive at limitless visual destinations. 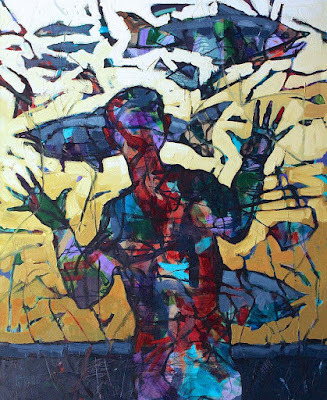 Often purposely ambiguous, his art also allows viewers to create their own orger from seeming chaos, following unique paths to personal revelations. He'll frequently scratch ideas, thoughts and smaller images into the oils, revealing a history of where the painting has been and building additional visual interest. William Barnhart at Mirada Fine Art, Contemplation of the Policy, Oil on Canvas, 36" x 36"
Stop by Mirada Fine Art and check out William's work in person! 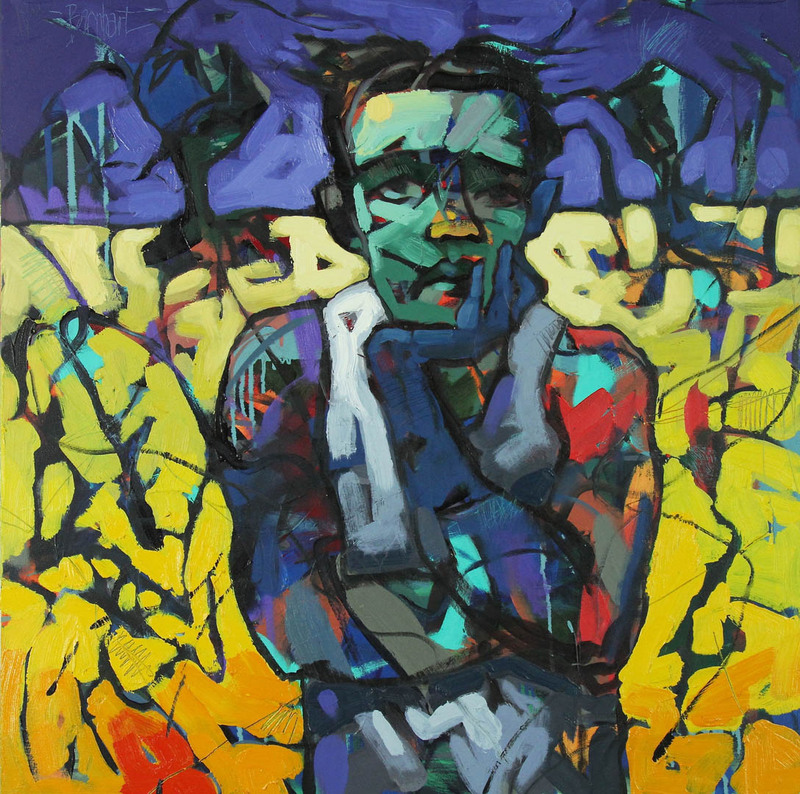 William Barnhart at Mirada Fine Art, A Token of Sincerity, Oil on Canvas, 36.5" x 30.5"
William Barnhart at Mirada Fine Art, Fish Ladder at Ballard Locks #1, Oil on Canvas, 60" x 48"
William Barnhart at Mirada Fine Art, The View Behind Reality, Oil on Canvas, 36" x 30"
William Barnhart at Mirada Fine Art, Marital Bliss, Oil on Canvas, 48" x 48"
Charli...she's Mirada Fine Art's newest addition. 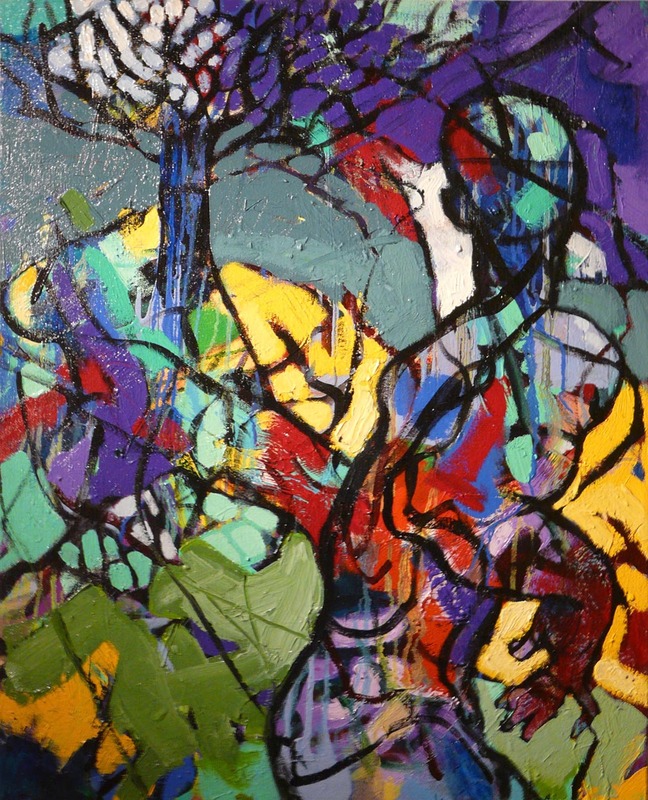 If you haven't been to the gallery, you'll have to swing by to say hello to her! 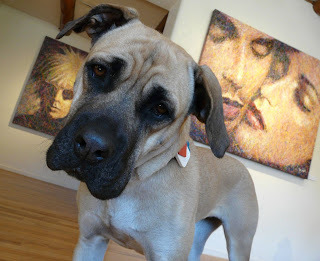 Sometimes you just need the puppy perspective and Charli is more than willing to help you out! Most weekdays you'll find Charli hanging by our front desk just waiting for a belly scratch. 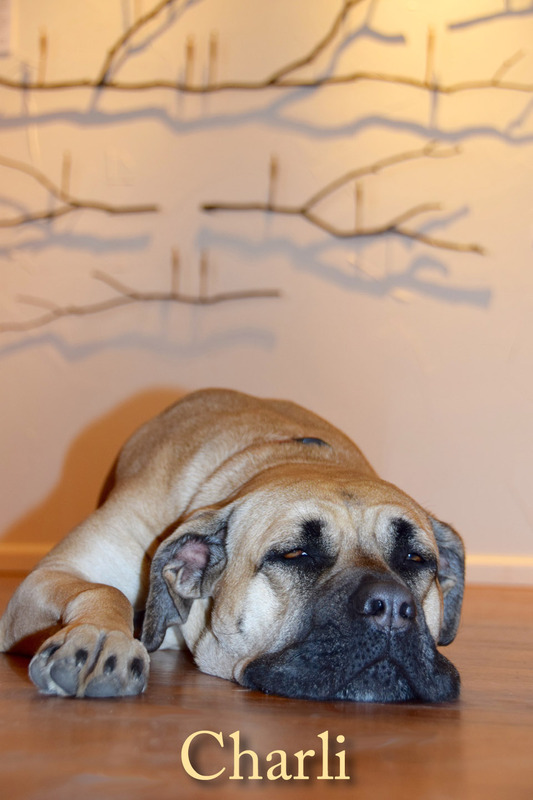 Charli, Mirada Fine Art's gallery dog taking it easy in front of Jennyfer Stratman's 'Graft Series' sculpture. Come check out the latest of our award-winning contemporary art, and say hello to Charli!